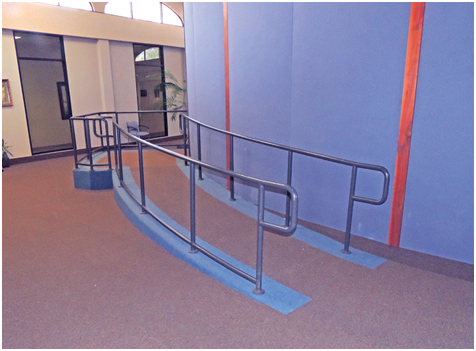 Owen is providing the City of Irwindale (City) with professional services for an ADA Self-Evaluation and a Transition Plan to ensure public facilities and right-of-way are in compliance to ADA regulations Title 24, ADAAG, PROWAG, MUTCD, and other applicable codes. Owen is performing compliance audits relating to site and program accessibility. The results of the audits will provide the basis for identification, prioritizing, budgeting, and implementing subsequent transition plans. Owen’s scope of services includes assisting City staff in the review and identification of building plans, inspection reports, inventories of ADA curb ramps and sidewalks, and other associated documentation required to complete a comprehensive audit. Owen will also review and evaluate city policies, programs, facilities, and activities to determine any issues that may be deemed discriminatory to citizens with disabilities. Owen is providing recommendations of modification in programs, practices, and procedures to ensure a barrier free environment.